February 28 Dr. Toman replaced my left knee.I cut my grass 3 weeks later and on June 23 I caught this 30 inch Northern Pike in ELY,Min. Thanks to Dr Chuck and PT. My left hip and knee had been very painful for over two years before I met Dr. Toman. Previously, I had seen two other orthopedic doctors in Pt. Charlotte who could not figure out what was wrong with my hip/knee. In addition, I was told that my weight and my age(45) made the situation even more complicated. If you are consideringorthoscopic surgery for a torn rotator cuff, I recommend Dr. Charles Toman. I had extensive surgery on Feb 3,2011, following his directions after 3 months I have excellent movement in my right arm. Dr. Toman performed surgery on my elbow one week ago, removing a fractured bone spur, bursa, and repairing a partially torn tricep tendon. Except for the first two days after surgery, the pain has been minimal. 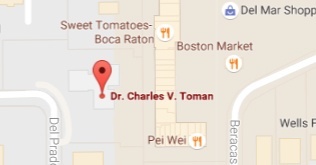 I was blessed to have been lead in the direction of securing Dr. Charles Toman as my Orthopedic Surgeon. All of the healthcare people that I came in contact with during the surgery and recovery told me how lucky I was to have Dr. Toman as my surgeon. 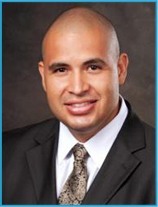 I was very pleased at the care I recieved from Dr. Toman and his entire staff. DR. Toman performed reversed shoulder surgery after I fell and shattered my shoulder in June 2012. Dr. Toman recently performed a knee arthroscopy to repair a torn meniscus. The procedure was scheduled and performed in a timely, proficient manner. Home health care and physical therapy were set up by his office and started the day after surgery. I am 8 weeks post total knee replacement and have already returned to work. All thanks to Dr. Toman and the physical therapy staff I had working with me. Dr. Toman was very thorough in helping me understand the full procedure from pre-op to surgery and recovery. My wife and I have just moved to North Port and we waited to have my knee replaced until the move. The problem was we did not know anyone in the area so we decided to start looking on the Internet. I found Dr. Tomans site and began reading the testimonials of his patients.